This time last week the London Bookshop Crawl was in full swing. It’s an event that lasted from Friday 8th – Sunday 10th February but I only took part on Saturday. There were guided tours, special events, book swaps and over 80 bookshops across London taking part. The London Bookshop Crawl is like a pub crawl except with books which is awesome! I’m an old hat at this London Bookshop Crawl thing and it’s amazing to see how much this event has grown over the past four years. I decided to get a ticket for the guided bookshop crawl around the King’s Cross area as I’m a big fan of the guided groups. It’s a great way to meet people, and it is fun discovering new bookshops with people, comparing purchases and generally being a bad influence on each other. 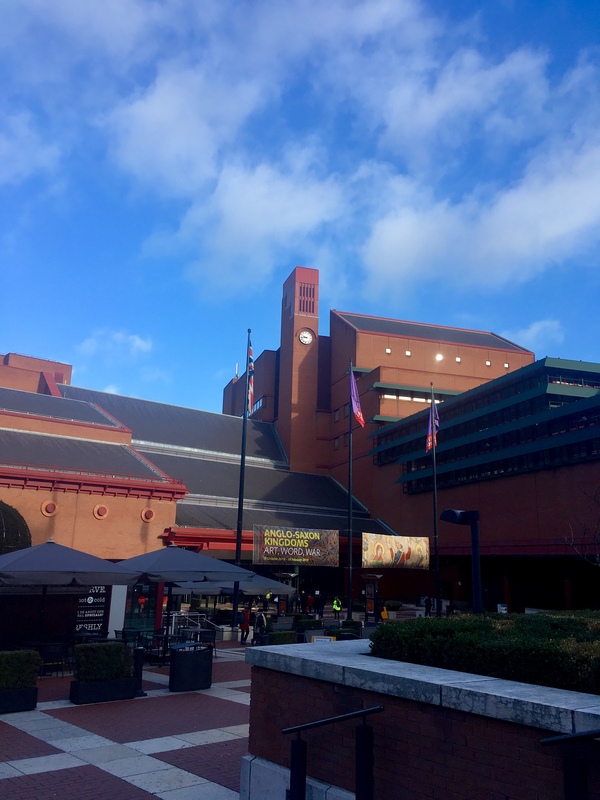 We met at the British Library which I hadn’t been to since I was at university and there was our first stop of the crawl – the British Library Bookshop. There I bought Crimson by Nivaq Korneliussen which is a coming of age story that was on my radar before the bookshop crawl which is always a bonus. The reason I was aware of this book was because it’s set in Greenland and by an author who’s from Greenland so it’s perfect for my Read the World Project. Next, we went to the Blackwell’s Bookshop in the Welcome Library. There I bought Feminists Don’t Wear Pink and Other Lies, a non-fiction book that’s all about what feminism means to different women. This is another book that was previously on my radar (SPOILER ALERT! I think I did pretty well at buying books that I previously wanted/was aware of) I think I’ll definitely be going back there again as it was a great book and gift shop and I heard that the actual library itself was pretty amazing too, so it’d be nice to explore that properly. We went to second-hand bookstore Judd Books next which was a really very well stocked second-hand bookstore, with pretty much all the books being in great condition and a wide choice of genres. There I bought The War Correspondent by Greg McLaughlin, which isn’t for me but is actually going to be a birthday present for my dad. It’s his birthday next month so I’m well impressed with myself being so organised. Then we went to Gay’s the Word which was practically next door to Judd Books. There I got Let’s Talk About Love by Claire Kann which is a YA story about an asexual black main character. This is another one which has been on my wishlist for a while and I’m pretty sure it’s going to be the next book I pick up. 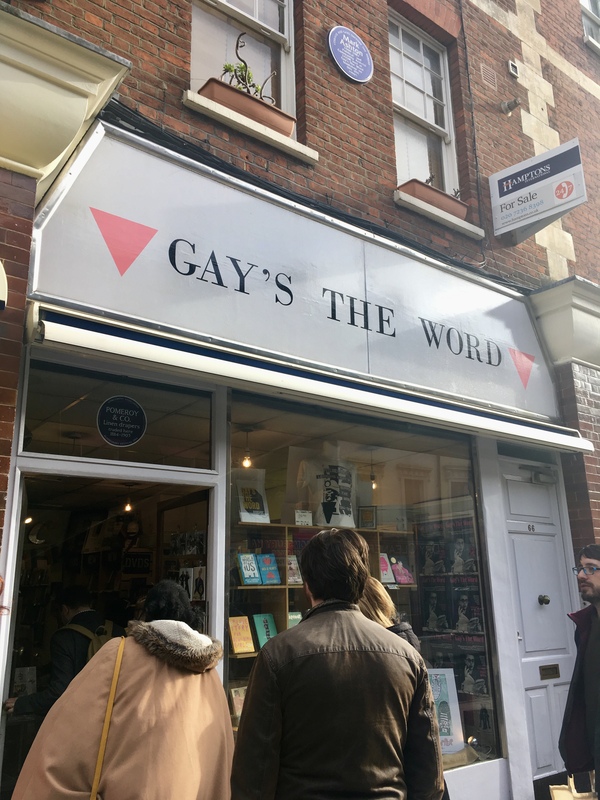 Gay’s the Word is one of only two specifically LGBT+ bookstores in the UK and it sells both queer fiction and non-fiction. It had a really friendly atmosphere and the books it had in stock were a great mix of genres. The penultimate stop on the London Bookshop Crawl for me was Housmans which is a radical bookshop selling new and secondhand books from a whole range of genres including progressive politics, and where I got two books! I bought Soviet Milk by Nora Ikstena, which was on my wishlist, and African Titanics by Abu Bakr Khaal, which wasn’t on my wishlist but they are both reasonable short and both are for my Read the World Project. I really liked Housmans and will be going back there again as it’s just around the corner from King’s Cross station and that’s the station I go to and from London. My final stop was Word on the Water which is such a lovely little second-hand bookshop on a barge on the river. The guys who run the place are great and there’s always something cool to find there. I was restrained and didn’t buy anything from Word on the Water, so I finished my 2019 bookshop crawl with six books, five for me and one as a gift which wasn’t too bad if I do say so myself. I’ve generally become better at buying books that I’m already interested in or am sure I will pick and read sooner rather than later. I’m still trying to get that TBR down! I had a great time on the London Bookshop Crawl. I got to meet up with twitter pals and people I’d met on previous bookshop crawls and everyone in our little group were friendly and chatty and they were a great bunch of people to spend a few hours in bookshops with. Out of the six bookshops I visited, I’d only been to one before which was Word on the Water, so it was great to discover new bookshops that I’d never noticed before. I have to say thanks once again to the amazing Bex who organises the whole bookshop crawl in her spare time. She’s absolutely brilliant and I can’t wait to see what she puts together next year for the fifth anniversary of the London Bookshop Crawl! There’s likely to be mini bookshop crawls in a city or two around the UK in the summer so if you’re interested make sure you follow them on Twitter to keep up to date with everything and check out the Bookshop Crawl website. Oh and it’s always fun to check out the #LondonBookshopCrawl on Twitter to see other peoples purchases and adventures over the weekend. Until next year! This time last week the London Bookshop Crawl was just beginning. A weekend-long celebration of books and bookshops across London, there was event, guided bookshop crawls, book swaps and so much more with the dozens of bookshops taking part. I only took part in the London Bookshop Crawl on the Saturday, but I still had an amazing time. I had gotten a ticket for the guided tour around Waterloo & Southbank and there I met fellow bookish people – both old (previous bookshop crawl participants I’d met on previous years) and new. The tour was led by Cathryn and she was very friendly and knowledgeable throughout the tour and brought a great energy to the group. We met in Starbucks for coffee and sustenance, so we’d be ready for all the bookshops! Then it was off to Somerset House Bookshop. This shop was full of beautiful illustrated books, both for children and adults. 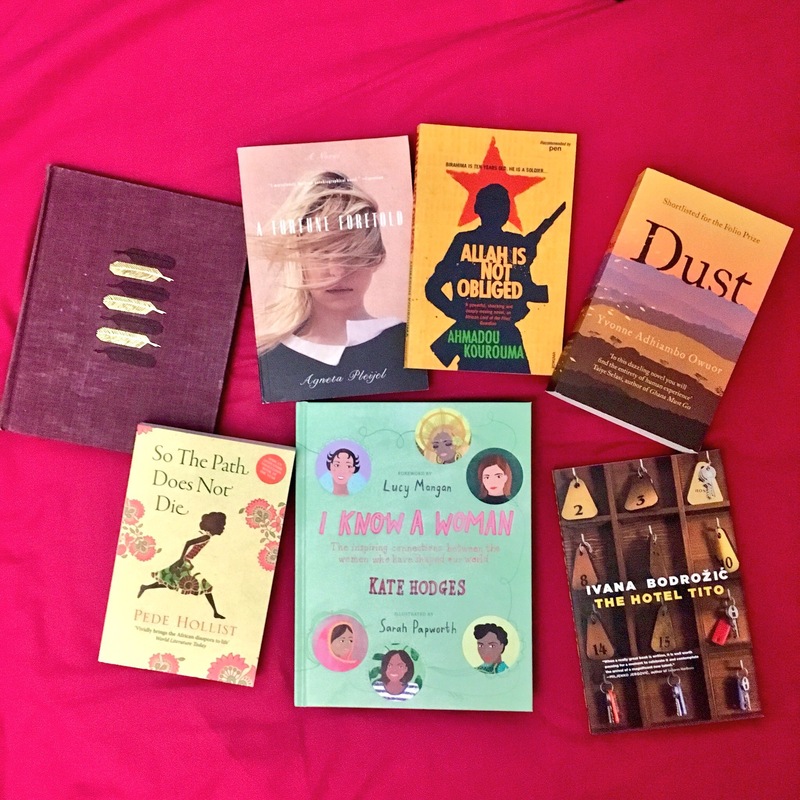 There were so many cool books there, but I managed to restrain myself and just by the one – I Know a Woman by Kate Hodges and illustrated by Sarah Papworth. This book is all about famous and influential women throughout history and the connections they have with other women. I fell in love with the art style and how vibrant the illustrations are and I always like to learn more about women that history might have forgotten. Next, we had a walk across to the other side of the Thames to go to the National Theatre Bookshop. Naturally, there were a lot of plays and books about drama and theatre criticism but there were also some more generally fiction books and some interesting gifts too. Then we had a little bit of a walk to The Bookshop Theatre which had an eclectic mix of plays and political and philosophical theory books. It had a mixture of new and second-hand books which was nice. There I bought an illustrated Folio Society edition of Othello by Shakespeare. I’ve not read Othello before and know very little about it, but my best friend said she’s taught it for A-Level and both she and the kids in her class really enjoy it. Just around the corner from The Bookshop Theatre (or least that’s how it felt to me) was Travelling Through… and this was my favourite new-to-me bookshop on the crawl. 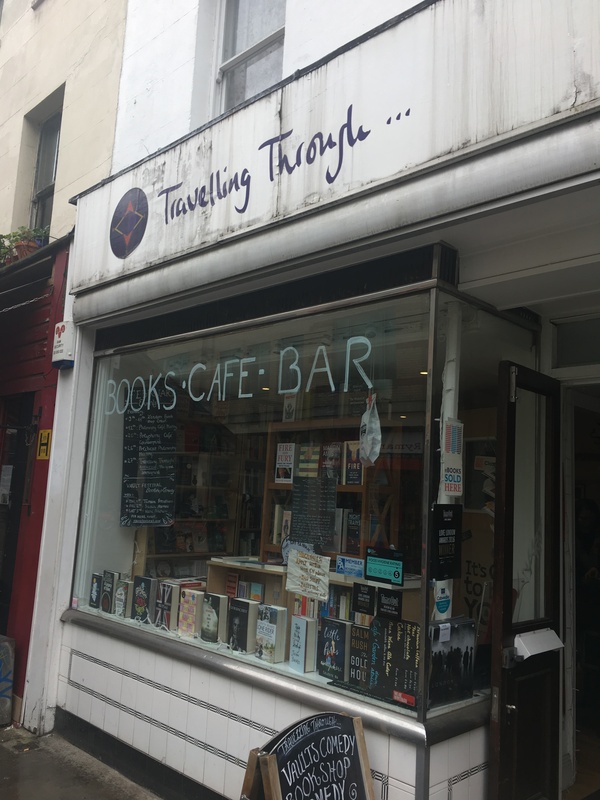 It’s got a great selection of books from around the world from international authors as well as some second-hand books and a cute café downstairs. The staff were very nice and friendly too. There I bought three books that will be perfect for my Read the World Project – Dust by Yvonne Adhiambo Owuro my read for Kenya and actually a book I had my eye on before the bookshop crawl, everything else were impulse buys, Allah is Not Obliged by Ahmadou Kourouma, a book for Côte d’Ivoire, and So the Path Does Not Die by Pede Hollist which will probably be my read for Sierra Leone. I will definitely be visiting Travelling Through… again next time I’m in that part of London. The next and final stop on the guided tour was to The Feminist Library – a place I would’ve loved to visit because it sounded like it stocks just my sort of books, but I was meeting the aforementioned best friend for a late lunch. I said goodbye to my fellow crawlers and vowed to go to The Feminist Library soon. But I had time to visit one more bookshop as I was meeting my bestie at Daunt Books in Marleybone. I first visited Daunt on last years bookshop crawl and I have been back multiple times since, so as I was in London I just had to go there. In Daunt I bought two more books I could use for my Read the World Project, The Hotel Tito by Ivana Bodrožić, potentially my read for Croatia, and A Fortune Foretold by Agneta Pleijel, a book I first picked up because of the texture of the cover was so unusual and now it’s likely to be my pick for Sweden. And that was me done for the London Bookshop Crawl 2018. Five bookshops, four of which were new to me, and seven shiny new books brought home. I had a wonderful time on the crawl, talking all things books and giving and receiving recommendations. My feet and shoulders (from a heavy backpack) were definitely sore by the time I got home but it was worth it. This was the third year of the London bookshop crawl and I love how much it has grown in such a short space of time. If you’re interested in the bookshop crawl check out the website and there’s due to be two Summer Bookshop Crawls, one in York and another in Canterbury, so if you’re interested in either of them make sure you follow the Twitter account and sign up for updates via the website. Until February 2019 and the next London Bookshop Crawl! I better get reading! It’s just over two weeks till this year’s London Bookshop Crawl! It’s a weekend long event from Friday 9th – 11th February and, as its name suggests, it’s a bookshop crawl in London where you can either join organised groups or plan your own bookshop crawl with handy maps with your friends and family. Dozens of bookshops are taking part and in some cases, that might mean there’s freebies or discounts to those participating in the crawl. It’s all very exciting and you can learn more about the London Bookshop Crawl here. I’m really looking forward to this year’s crawl. I’m going to be a part of a guided group that’s going to be visiting bookshops in the Waterloo and Southbank area – a part of London I’ve been to a fair bit but never been to any bookshops round there. 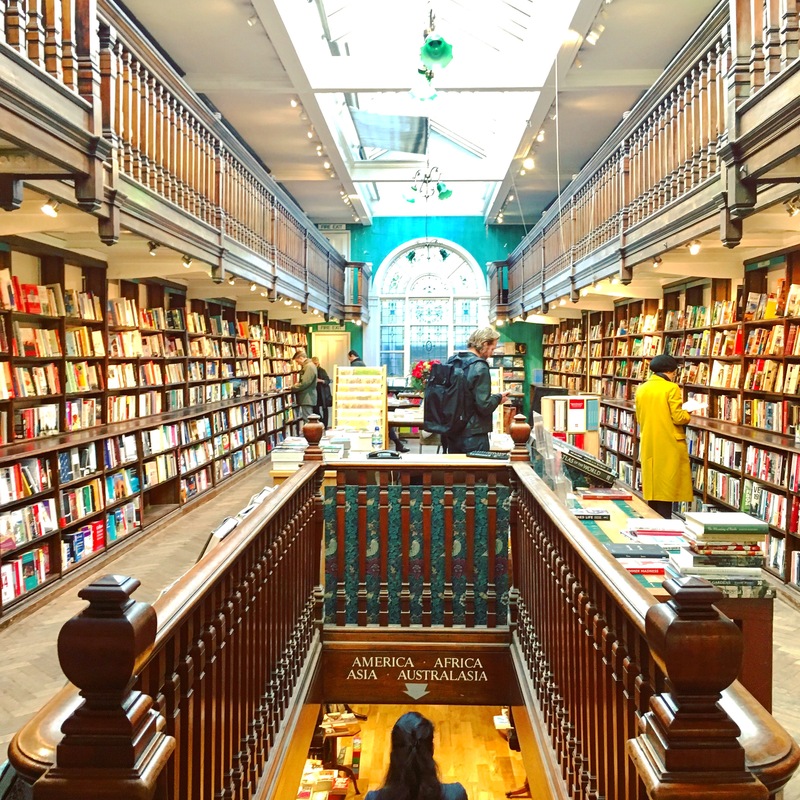 As I’m so excited about all the new bookshops I’m soon to discover, I thought I would look back at previous London Bookshop Crawls and talk about some of the incredible bookshops I’ve discovered thanks to this wonderful event. This is a very unique bookshop. Persephone Books is not just a bookshop but a publisher as well. 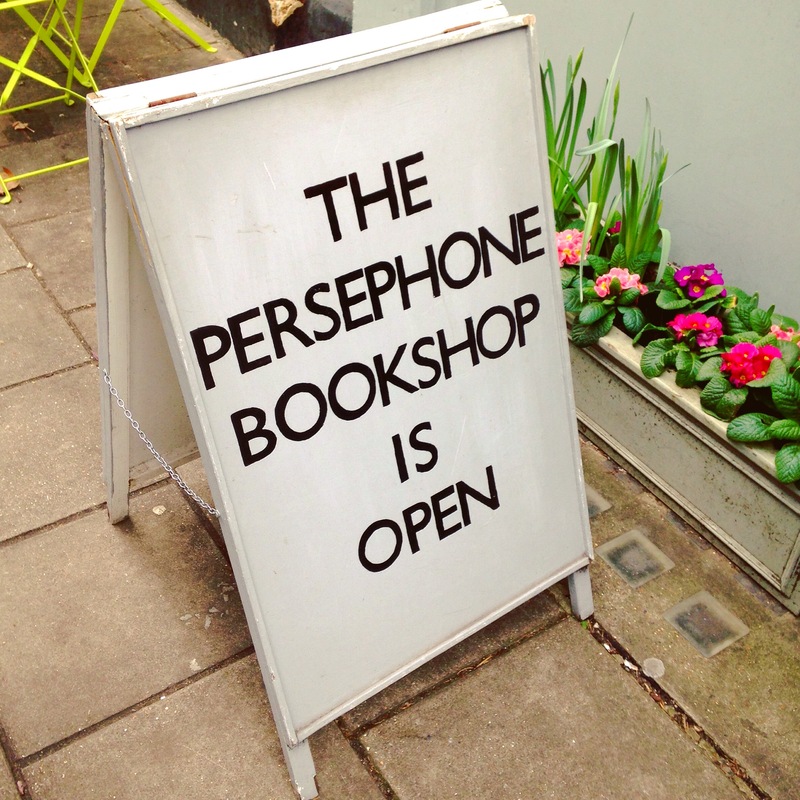 When I visited it on the first Bookshop Crawl the nice ladies there told us how the publisher worked and how it chose which books to print – because Persephone focuses on out of print works from the twentieth century, the majority of which are women. There’s a whole range of genres to be found there and the people who work there are happy to give recommendations. All their books have grey covers and have different patterned endpapers. This is a second-hand bookshop just off Leicester Square and it’s now somewhere I pop into every time I’m in that part of London (which is a fair bit because Leicester Square is often the meet up point for my friends). The books are in such great condition and there’s a wide variety of genres and books of various ages. There’s new releases and hidden gems and the shop has a basement that’s chockfull of books. It’s a smaller bookshop but it’s got a lot of cool stuff if you’re happy to have a rummage. This is a very unusual and cute bookshop, for one thing it isn’t on solid ground. 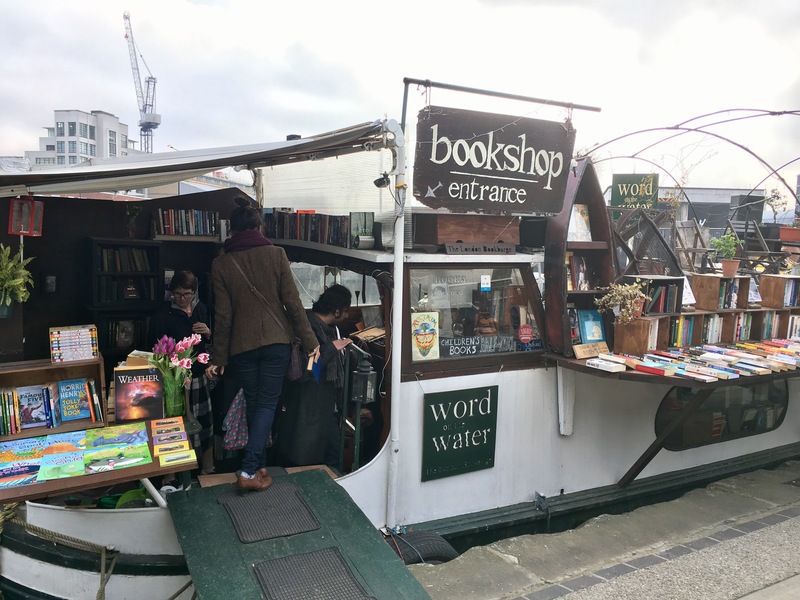 It’s a second-hand bookstore on a barge! It’s a tiny place but that adds to its charm. There’s books to look through on the bank of the river, and you can go inside the barge too to browse more books there and maybe even sit on one of the few chairs by the fire. Word on the Water is a hidden gem on the river and there’s a dog there too to make you feel welcome. This is a small independent bookshop a short walk away from Victoria station. It’s got a lot of books, fiction and non-fiction, from international authors and they’re not all the typical books you’d normally find in your high street Waterstones. Side note: I have nothing wrong with Waterstones, they’re fab, but it’s generally the bestsellers/books that the publishers give a huge push to in their stores. Daunt Books is one of my favourite discoveries from the London Bookshop Crawl. It’s a big bookshop, with your typical YA, children’s and popular fiction sections but the thing that really make it stand out is how a big portion of the books are divided by country. 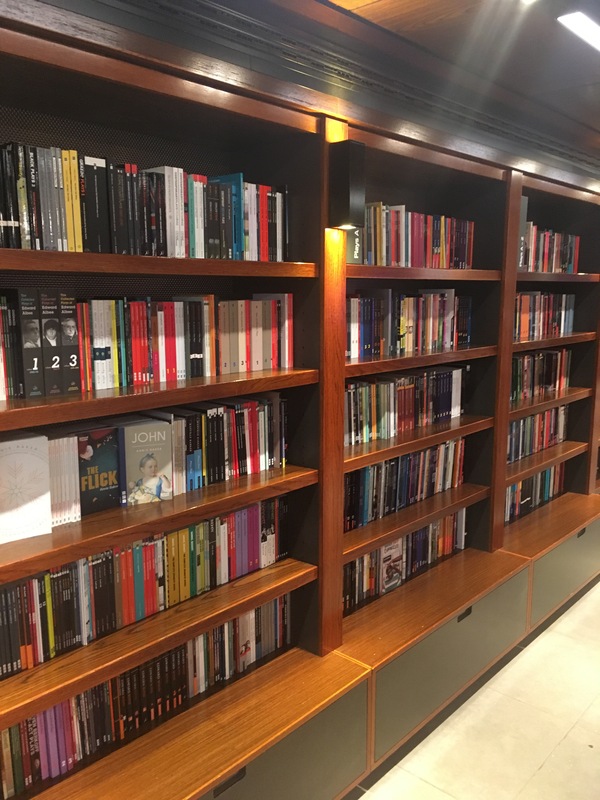 For example, if you go to the Austria section, you’ll find the usual travel guides and memoirs for that country but also fiction books set there and by Austrian authors. The top balcony has books from around the UK, the ground floor is all of Europe and downstairs is books from America, Africa, Asia and Australasia. It’s a great place to find books to help broaden your reading horizons and to discover literature from all around the world. I could go on much more about the other interesting bookshops I’ve been introduced to thanks to the London Bookshop Crawl, but thought it’s best to stick to five – that’s a manageable amount. If you want to read about the other bookshops I’ve visited, you can read about the 2016 London Bookshop Crawl here (it was so much smaller back then and it’s incredible how much it’s evolved in a few years and that’s all down to the amazing Bex) and the 2017 one here. There’s still time to plan your London Bookshop Crawl! There’s a list of all the bookshops involved, bookshop crawl maps, the all important Bookshop Crawl ID and more on the website. Yesterday was the wonderful London Bookshop Crawl. Over 50 bookshops took part with discounts, freebies and goodies available and 1,000 people signed up through Eventbrite to take part. Now I went to the first London Bookshop Crawl last year when there was a lot fewer of us, about 25-30 altogether, so we all stuck together in one big group. This year because of the amount of people it was a bit different. There were four groups of about 25-30 people that started off in Foyles and then went around London together, but the whole crawl was really a much wider affair where people could go off on their own or with friends and discover new bookshops together. I was a part of group two which was led by the lovely Ruth and Michal. We started off in Foyles where I didn’t buy anything but I did give away 21 books and graphic novels to fellow bookshop crawlers. This worked out very well for me as it’s given me a lot more shelf space for new purchases. Top 5 Wednesday is a great feature created by GingerReadsLainey and hosted by ThoughtsonTomes. To find out more about Top 5 Wednesday and the upcoming topics, check out its Goodreads page. This week it’s a bit different and it is time to showcase some of your favourite posts you’ve ever done. It could be a review, a photo on Instagram, a discussion post, anything! So without further ado, here are my top 5 favourite posts that have graced this blog. This post was for Top Ten Tuesday and I like it so much because I got to share my eclectic taste in music. Plus, I love imagining plot lines while listening to music so it was like my two favourite things at once. On a Saturday in February I spent the day in London meeting a lot of lovely bookish people and we travelled around the city going to different bookshops. 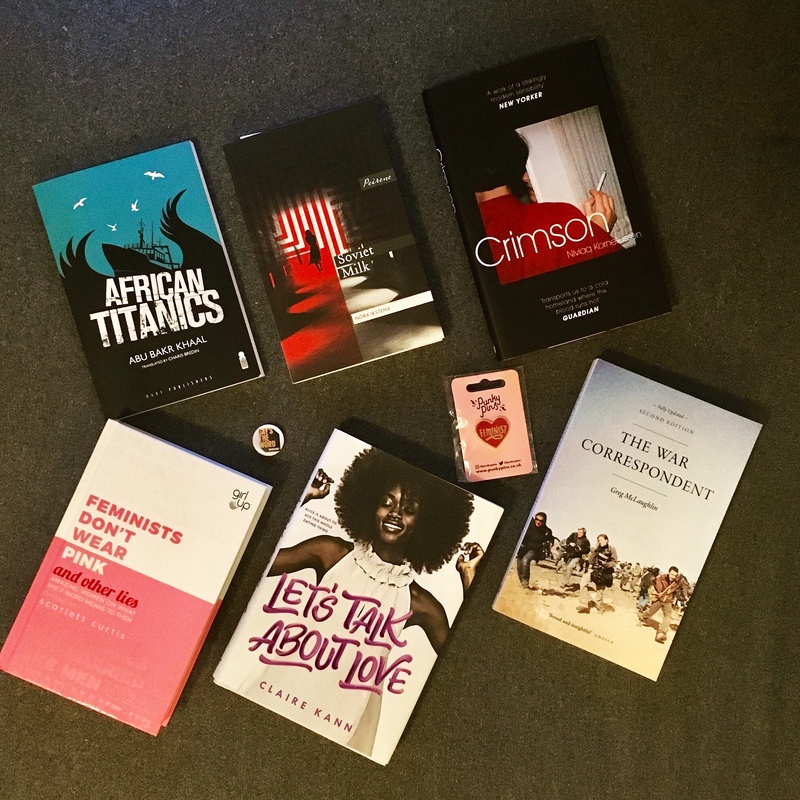 I really enjoyed writing my post about that day, sharing what happened and what books I ended up buying. It definitely is my favourite book-related posts. I took part in the A-Z in April Challenge this year and this time it was all about my favourite characters. My favourite post from that month of blogging was the one all about Aaron Livesy, a character from a British soap opera. He is honestly one of my favourite characters ever so it was great to spend a whole post talking about him and sharing why I though he was so great. While I’m still not sure I managed to make myself clear about what I meant in all of the post, I did enjoy writing it. A lot of people identify with various Hogwarts House and nowadays it’s used as a shorthand to say what sort of person they are so when quizzes like Pottermore put you in a different House to the one you’re used to, it can be a shock and make you question how you see your personality. It’s been nice looking back through my blog and seeing what posts I really do like and want to shout about. What are some your favourite posts? Yesterday I spent the day going to many bookshops in London with a lot of book loving people. It was the London Bookshop Crawl which was organised by the wonderful Bex and it as so much fun! Going into the Bookshop Crawl I didn’t know anyone. Bex had set up a Twitter list of the people who were going on the crawl so I’d followed them all to try and learn names and get to know some of them but really, I didn’t know anyone when I arrived at Foyles at 9:30am.